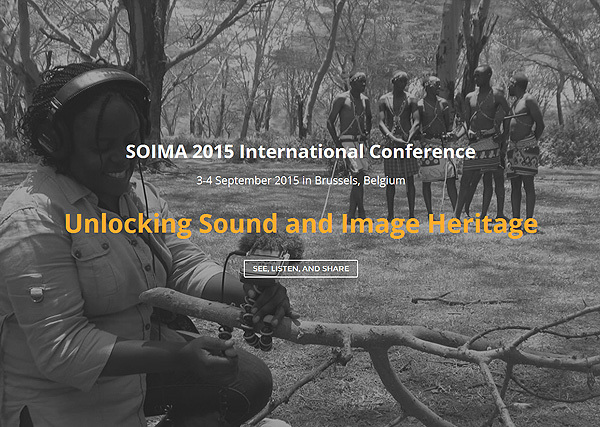 PREFORMA partners KIK-IRPA (the Royal Institute for Cultural Heritage in Belgium), BEELD EN GELUID (the Netherlands Institute for Sound and Vision) and PACKED, are partners for the International Conference “SOIMA 2015: Unlocking Sound and Image Heritage” which takes places on 3& 4 September in Brussels. 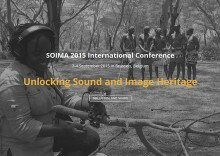 This is an international conference on ensuring a safe and creative future for sound and image heritage. Twelve national and international institutions are supporting the event. Recorded sound and images have captured our world, our lives and our imagination. Thanks to rapid advancements in social media and information technologies, it has become much easier to share and use sound and image content. Yet contrary to common perception, not all content is readily usable. Today's knowledge on preservation and access is fragmented, often trapped in separate areas of expertise, presenting a challenge to content collectors and users. Locked in obsolete formats and threatened by degradation and decay, nearly all of sound and image collections held by museums, archives, libraries, universities and other cultural or research repositories face the imminent threat of extinction. As a result, the world stands to lose a wealth of knowledge and information – a wealth that is crucial for conserving our cultural and natural diversity. Is it possible to prevent this loss?